Architect's certificate definition what is an architects certificate ? Architect's Certificate > architects certificates > What is an architect’s certificate? What is an architect’s certificate? An architect’s certificate is issued by a chartered architect or surveyor on a newly built or converted property and is of 6 year duration. Though it has been renamed and is officially called ‘the CML Professional Consultants Certificate’, the term ‘Architects Certificate’ is still widely used. Architect’s certificates are an important document for a number of reasons, but particularly if you or your purchaser want to take out a mortgage on a newly built property. 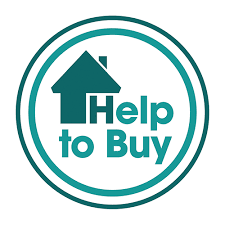 Mortgage lenders will generally only lend money against a newly built property if it is protected by a warranty scheme such as NHBC warranty or a Professional Consultants Certificate. Smaller builders and self builders favour a professional consultants certificate/ architect’s certificate because they are often as much as 50% cheaper than NHBC and are widely accepted by banks and building societies. An architect’s certificate is only a warranty in the sense that the issuing professional undertakes (by means of a signed CML certificate) that the subject property is built in accordance with the approved plans, complies with building regulations and is to a good standard. 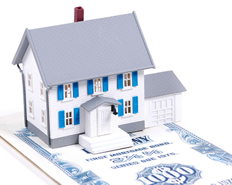 This undertaking is primarily for the use of banks and building societies as a security for a loan. The lender is provided with an assurance of the standard of construction, which is backed by the issuing architect’s professional indemnity insurance. THIS IS NOT A LATENT DEFECTS POLICY. Architect’s Certificates are issued as standard for six years cover, which the council of mortgage lenders have approved for use in their standard format. You can also buy additional cover from us, a UK-wide professional consultant’s certificate provider to give ten years cover. This additional cover is called CertificatePlus+ and is available from www.architectscertificate.co.uk or by calling 0845 680 0467.